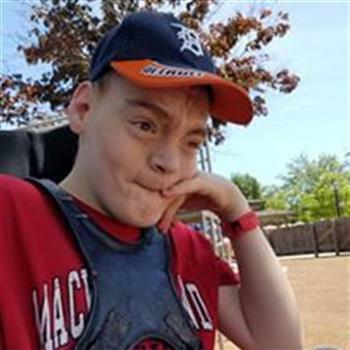 Brandon has Cerebral Palsy with severe developmental delay. He is a very easy going laid back young man and is very loved by everyone he meets. We have always tried to include Brandon in everything we do, however, one of the things we have not been able to include him in is bike riding with his family. Brandon is unable to sit by himself and lacks the ability to use his limbs like a "normal" person and because of this he is not able to use a regular bike. 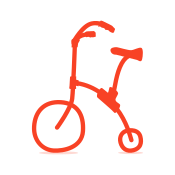 This adaptive bike will allow us to include him in riding outdoors with the family again! Thank you everyone for your votes and/or donations. THANK YOU EVERYONE FOR HELPING US ACHIEVE THIS GOAL! Candy sale part 1, thanks mom (Heike) for making all the candy!! Hope you are able to get the bike!! I hope this helps! He deserves it. God bless him and your family. Raffle Basket fundraiser! Thank you Patty for organizing and everyone that contributed!! It is much appreciated! Praying everything will work in your favor. Can’t wait to see pictures of Brandon enjoying his new bike. I can’t wait to see pictures of Brandon on his new bike! more from MOB for Brandon! Good Luck Brandon ! I hope to see a photo of you on your new bike! All of your friends at the MOB building! Good luck!! Hope your son is able to receive the bike.